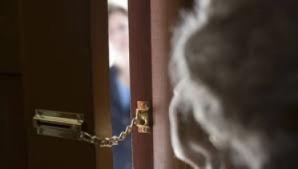 Police Scotland are launching their annual campaign to raise awareness of doorstep crime and to promote how the public can protect themselves from becoming a victim of this type of offence. Bogus callers try to get into a person's home or obtain personal details by pretending to be someone they’re not. They could be impersonating council staff, charity collectors, meter readers and police officers. In reality, they are criminals trying to steal money and valuables. Doorstep crime can affect some of the most vulnerable members of local communities, with perpetrators targeting victims due to a perceived vulnerability, such as age, gender or disability. However, busy families, or those perceived to have money available, can also be selected as targets. "We are delighted to again be working closely with partners and we are committed to reducing the number of incidents of doorstep crime and to keeping people safe. "Next week our Crime Reduction Officers, along with Trading Standards Officers and our Police Scotland Youth Volunteers, will be out across the north east to speak to members of these communities about protecting themselves from doorstep crime and handing out leaflets of guidance. "I would urge anyone who has close contact with potential victims - family, friends and carers - to watch out for suspicious callers or people at their doors, or any suspicious amounts of money disappearing. It is very important to pass on advice to friends, neighbours or family members who may be more likely to be targeted and provide them with the information and confidence to say - No." Keep your front and back doors locked at all times and be on guard if someone turns up unexpectedly. Use the door viewer or nearby window when answering the door and use (or fit) a door chain or bar. Only let callers in if they have an appointment and you have confirmed they are genuine. Always ask for identification badges of anyone you answer the door to, but don’t rely on them. Identity cards can be faked – phone the company to verify their identity. Some companies offer a password system. Ask your utility provider(s) if this can be used and if you have a password with a company make sure the caller uses it. Never let people try to persuade you to let them into your home, even if they are asking for help – they may not be genuine. If someone is persistent, ask them to call at another time and arrange for a friend or family member to be with you. Never agree to pay for goods or give money to strangers who arrive at your door. Don’t keep large amounts of money in your home. Don’t feel pressurised into agreeing to immediate work or buying a product or service. Don’t agree to buy from the first person who calls. Don’t pay cash up front or offer to go and get money. Shop around and get a few quotes if you decide you need work done and ask for recommendations from friends and family. Ask what your cancellation rights are. Further advice and a video regarding doorstep crime can be found on the Police Scotland website be clicking HERE.